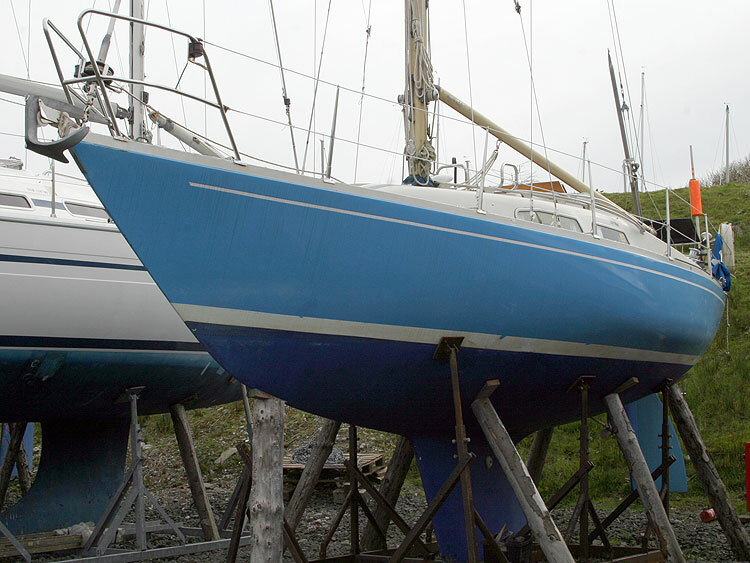 The Albin Ballad has a reputation as a classic cruiser/racer with all weather capabilities. 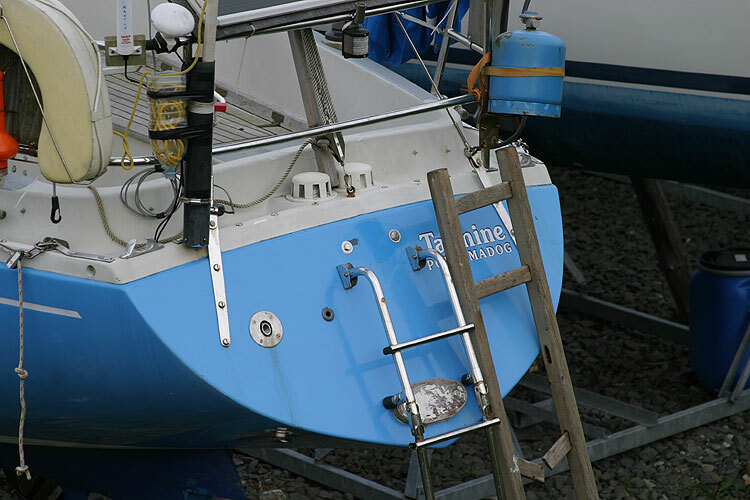 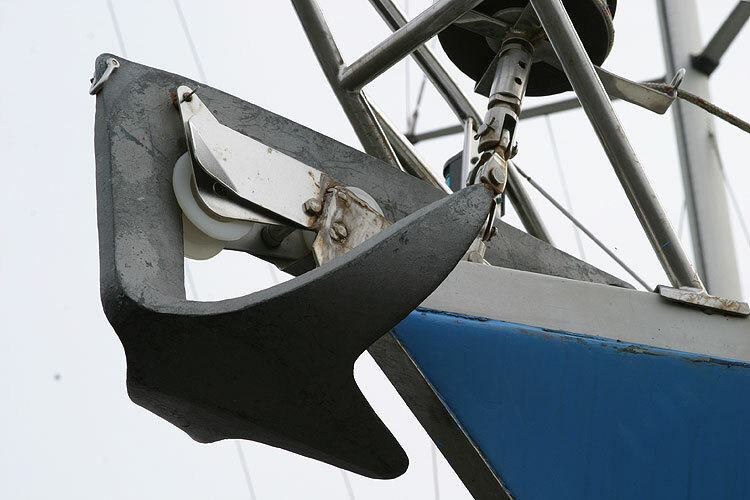 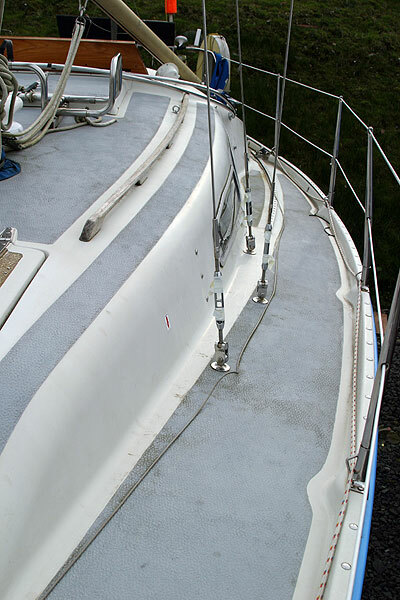 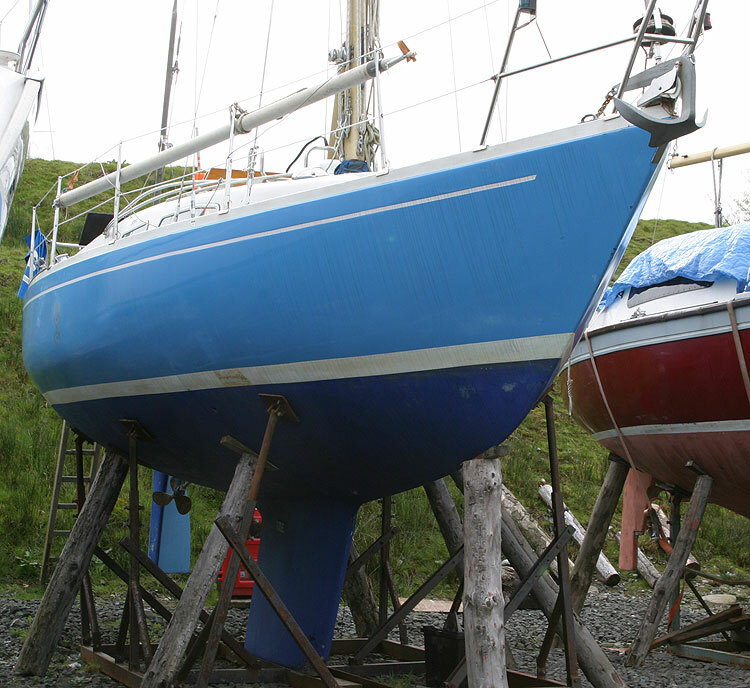 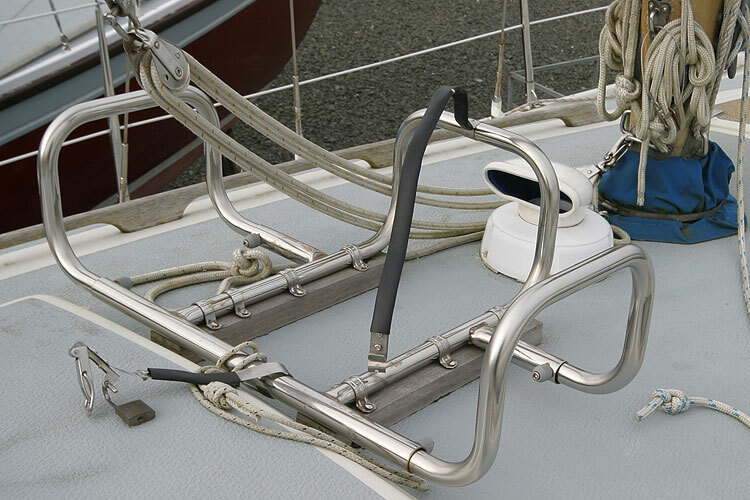 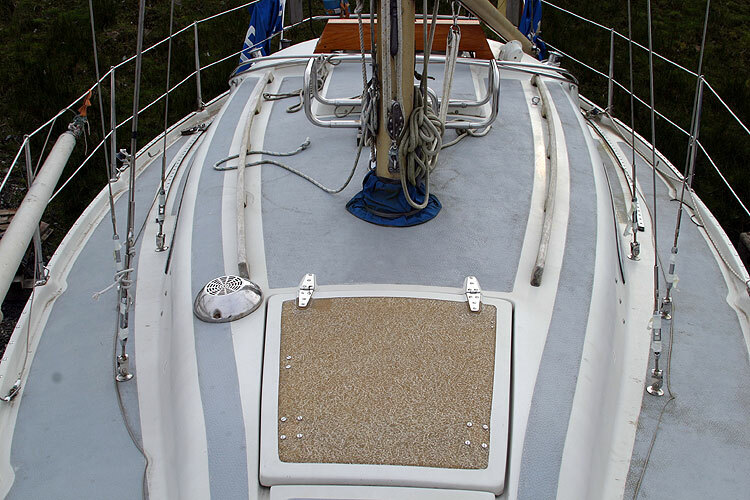 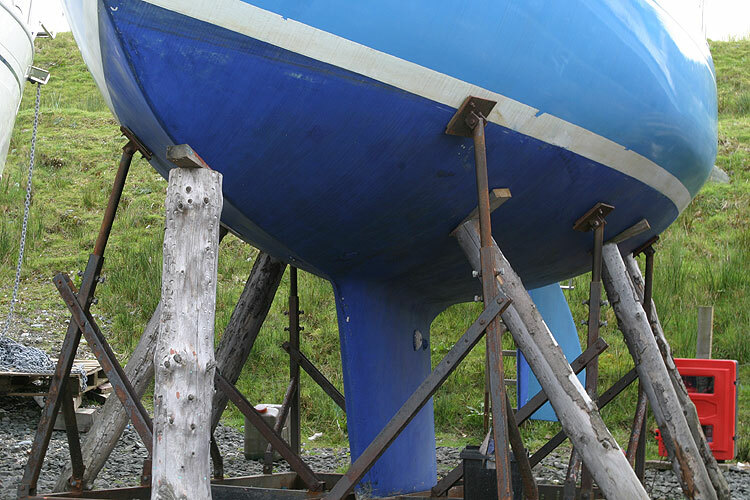 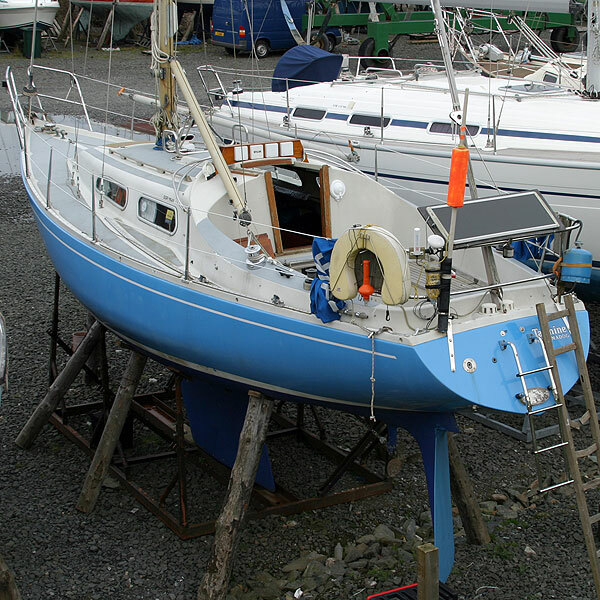 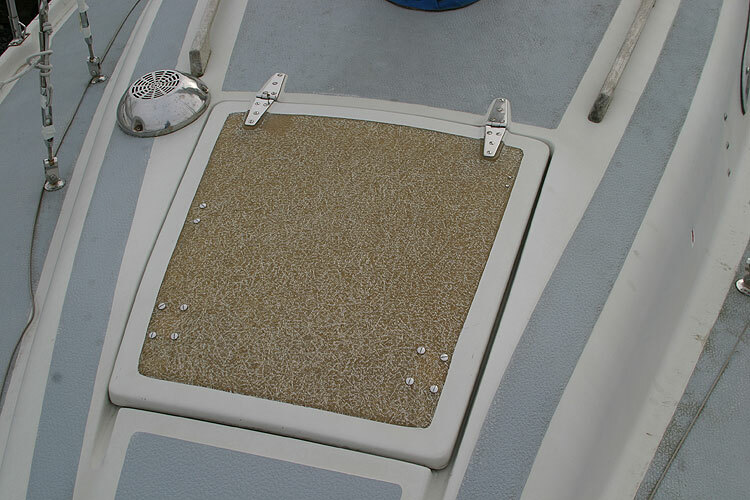 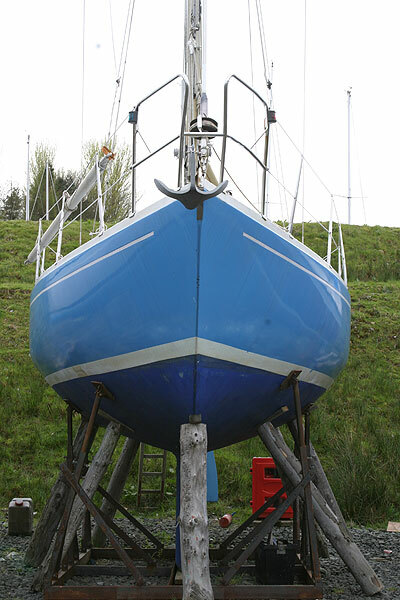 It is of GRP construction with encapsulated lead keel and tiller steering. 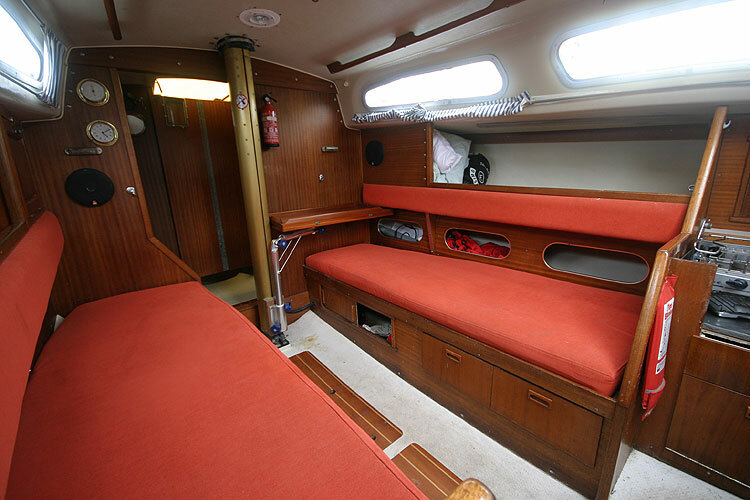 This one has never been raced but has been extensively cruised by a family crew and has proved her self to be a fast, comfortable, safe and seaworthy yacht. 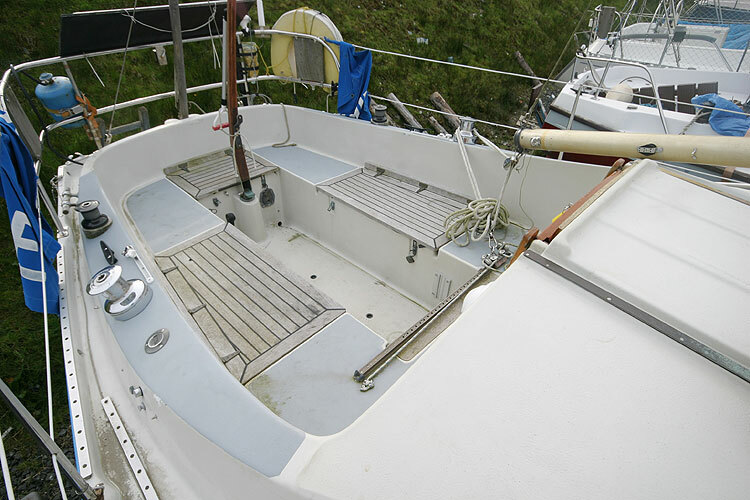 She has been comprehensively upgraded over the last few years to a high standard. 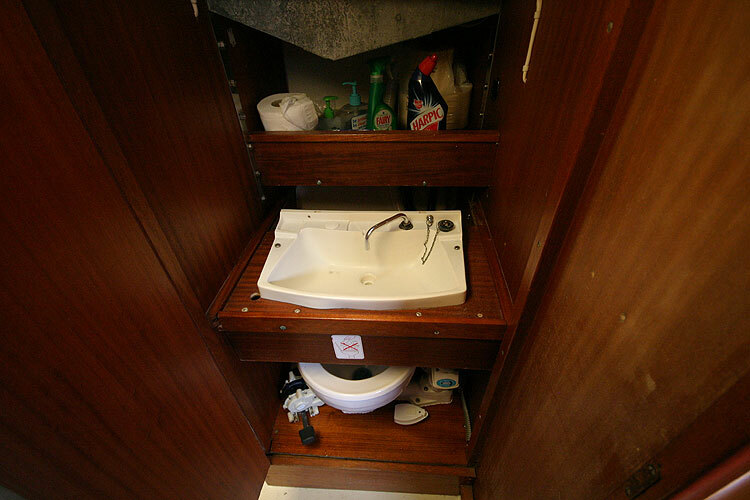 5 berths in two cabins. 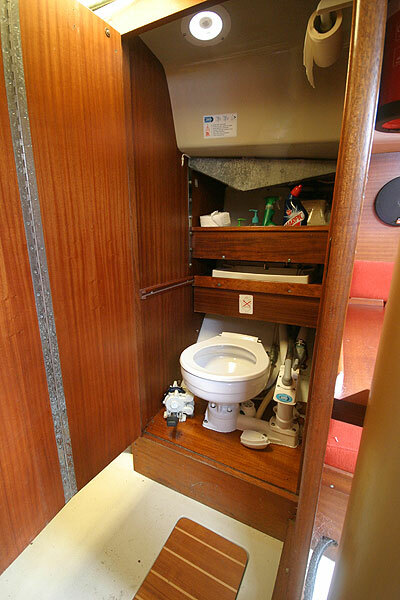 Forward cabin has the usual 2 single berths with an insert to make into a double. 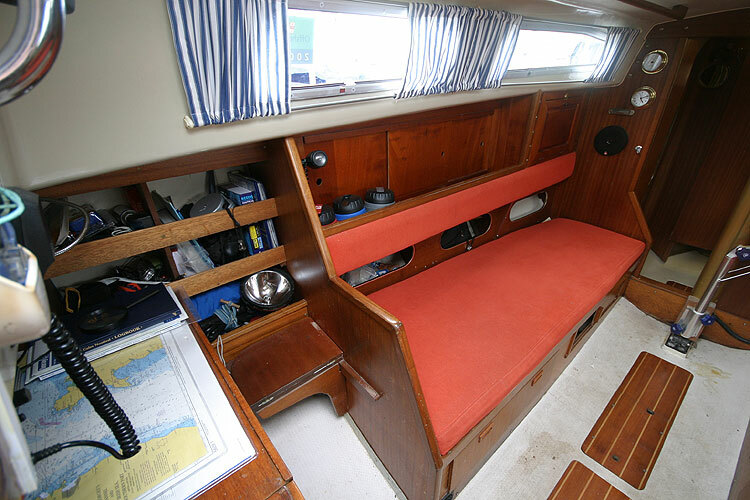 Main cabin has 2 settee berths and a pilot berth. 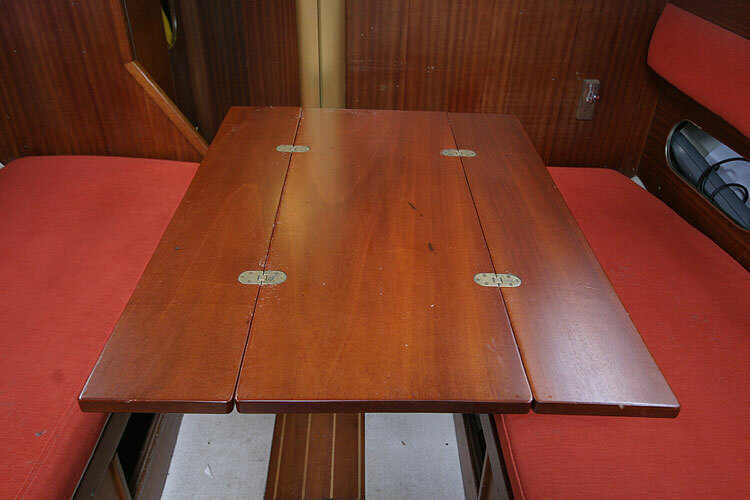 Folding mahogany dining table. 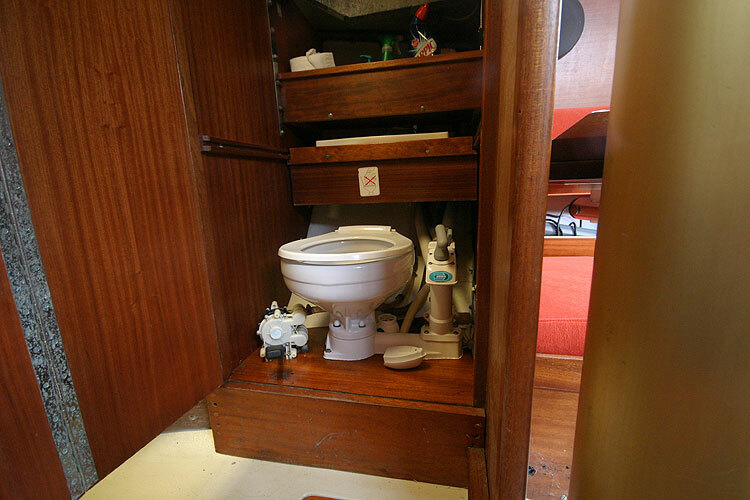 Hanging wet locker with heater outlet for drying. 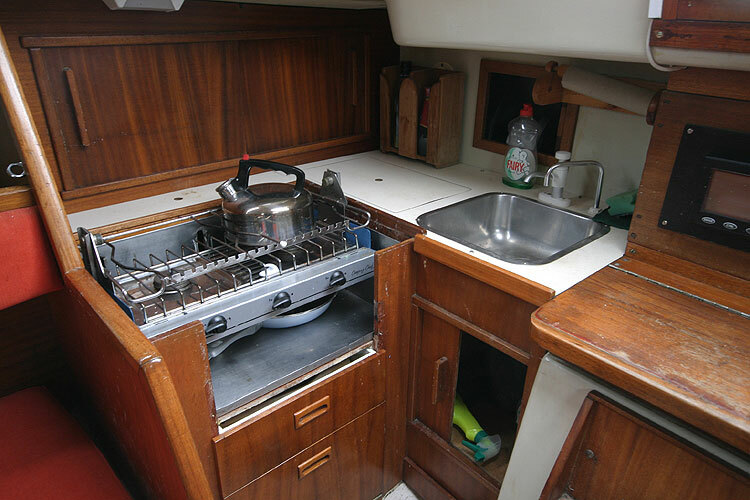 Gimballed gas stove with two burners and grill. 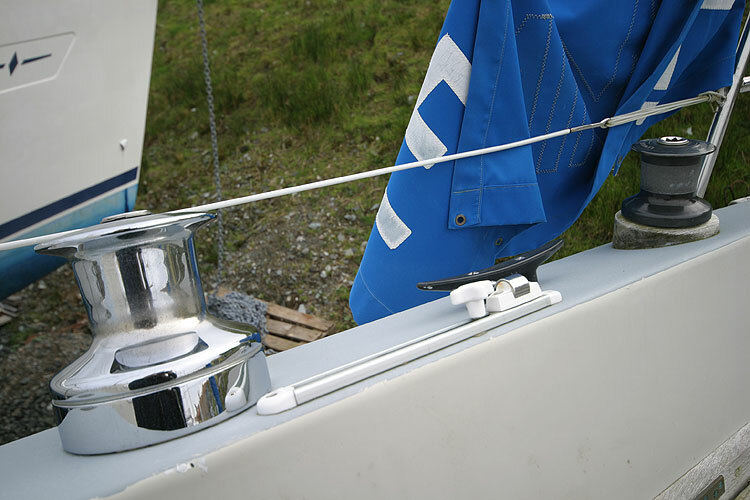 Stainless sink. 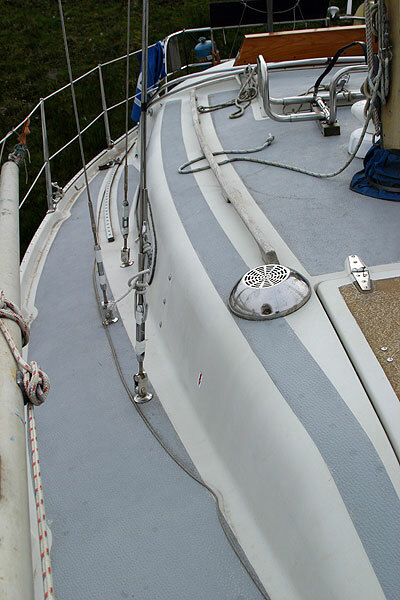 Mainsail and furling genoa new in 2005. 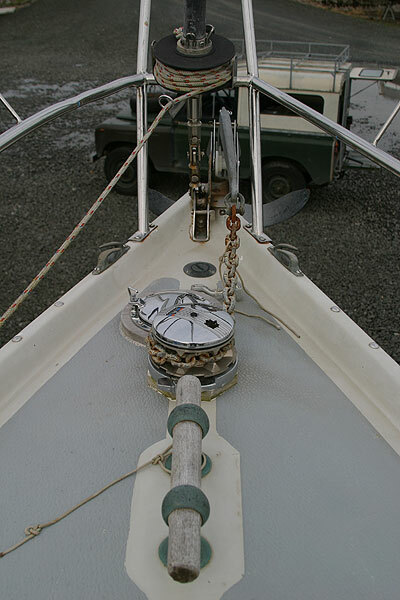 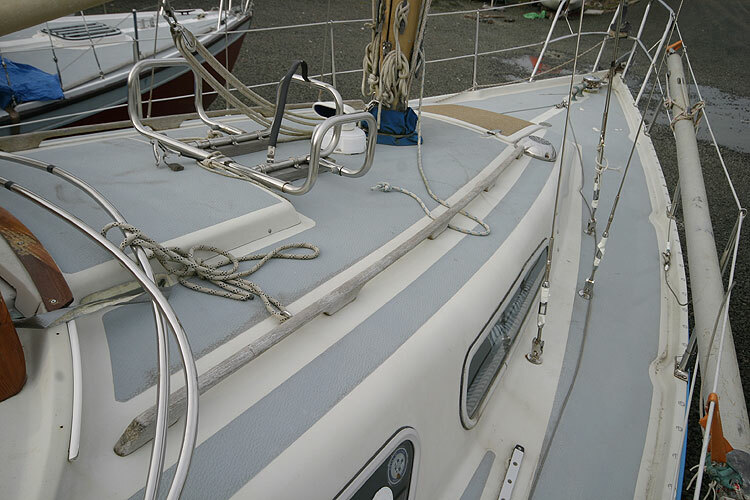 Standing rigging including toggles and bottle screws, new in 2005. 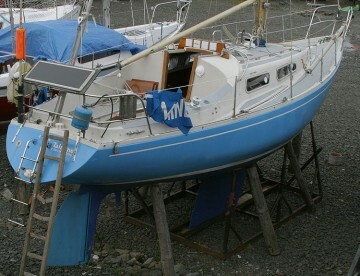 The original sails are also available and are in good condition. 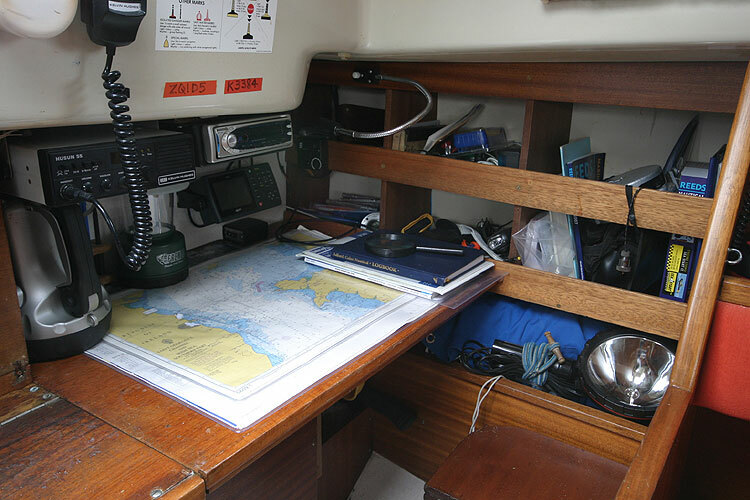 GPS with cockpit repeater. 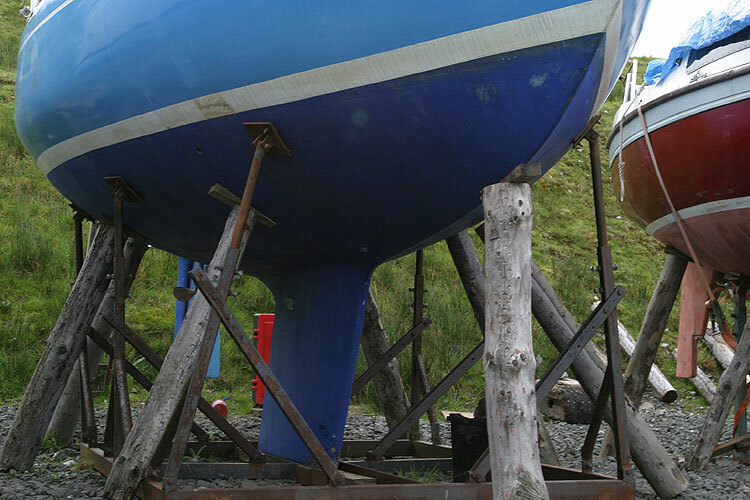 Depth, speed/log, wind. 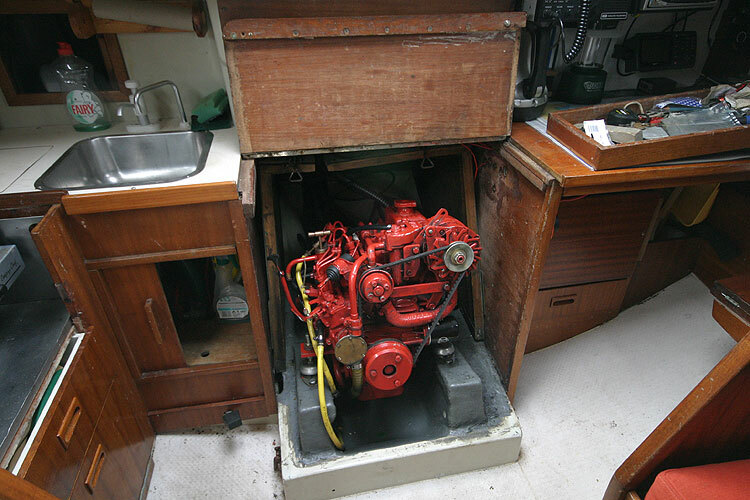 Eberspacher diesel heating (fitted 1999). 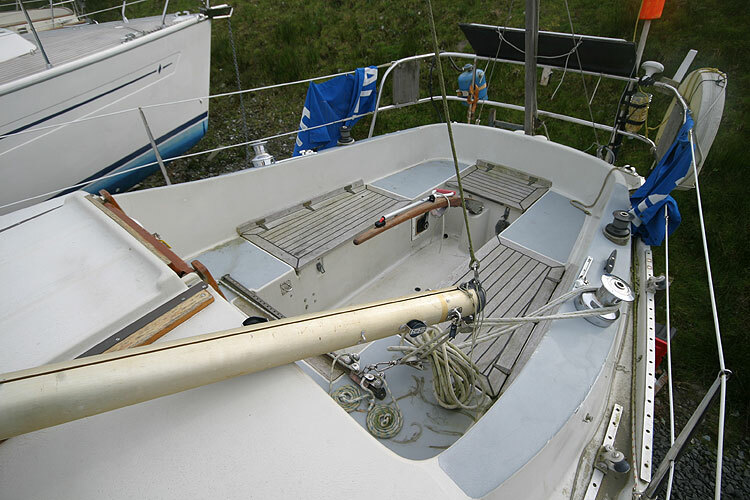 In 2002 a new Beta 20 HP engine was fitted including all hoses, exhaust, shaft, propeller and cutlass bearing. 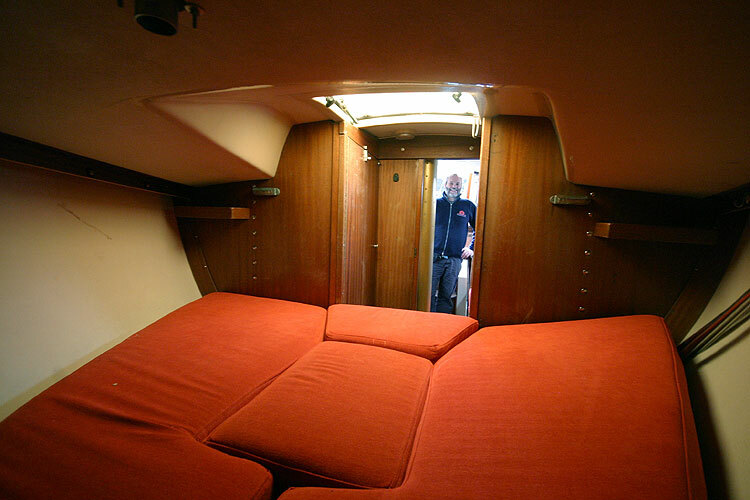 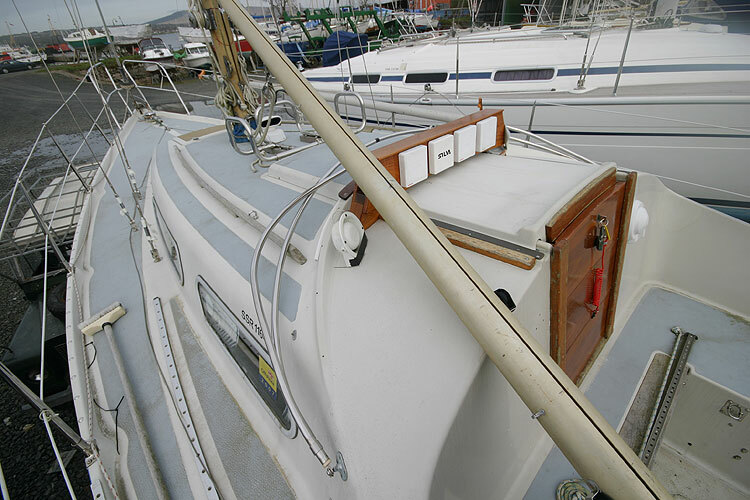 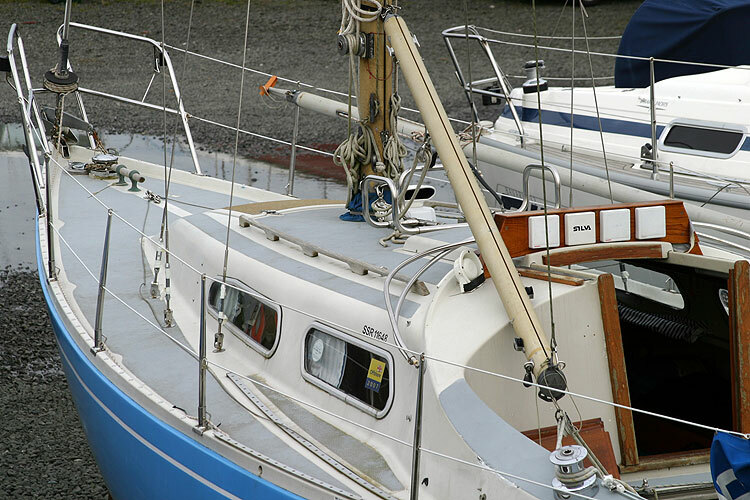 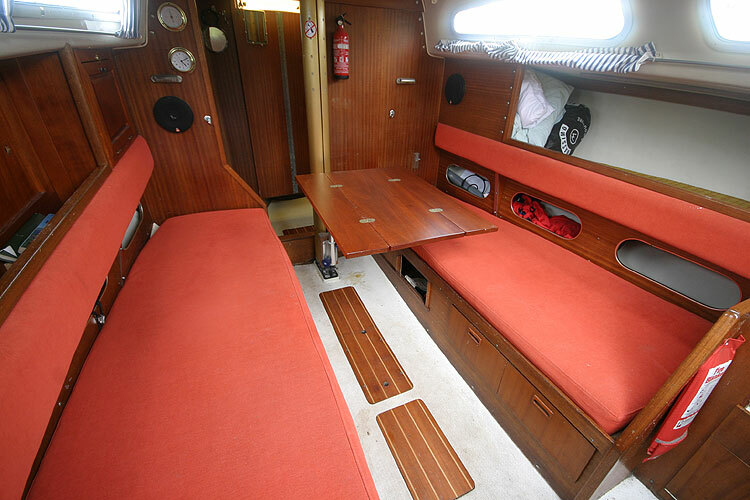 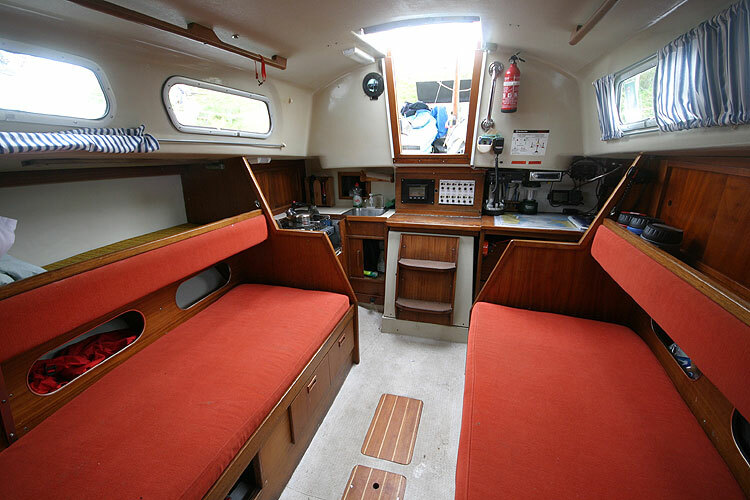 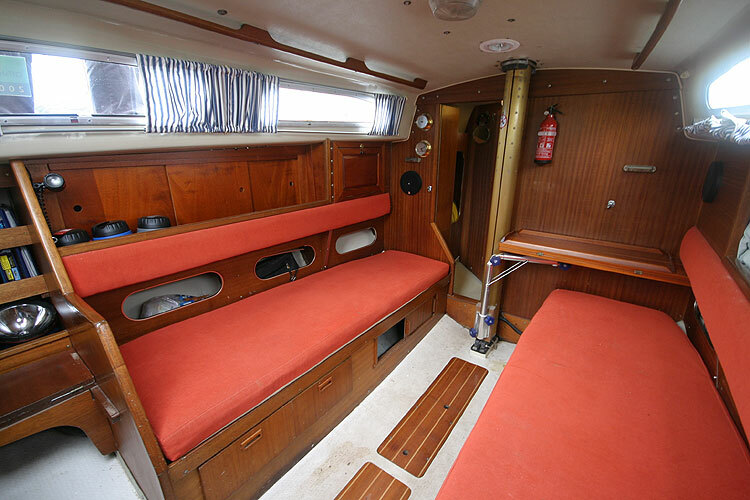 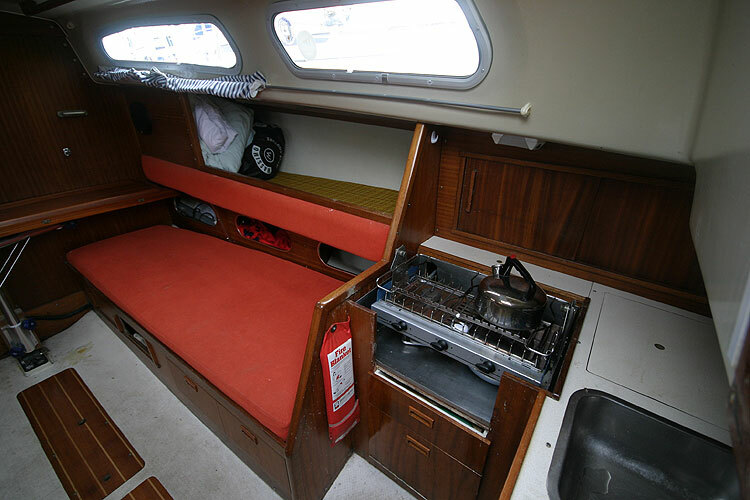 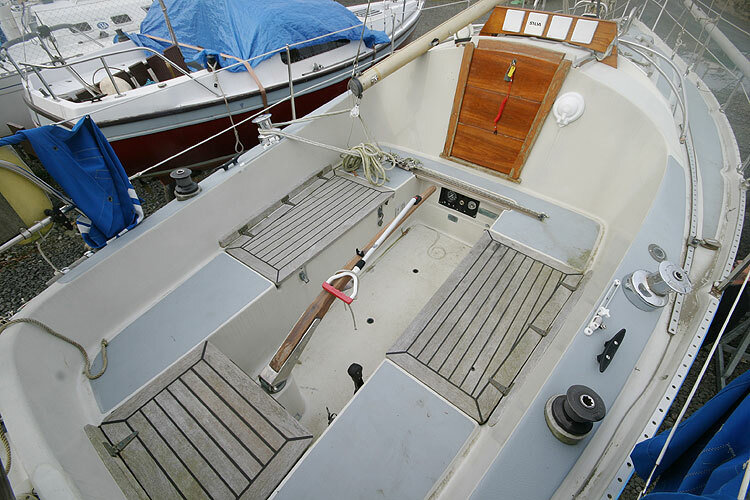 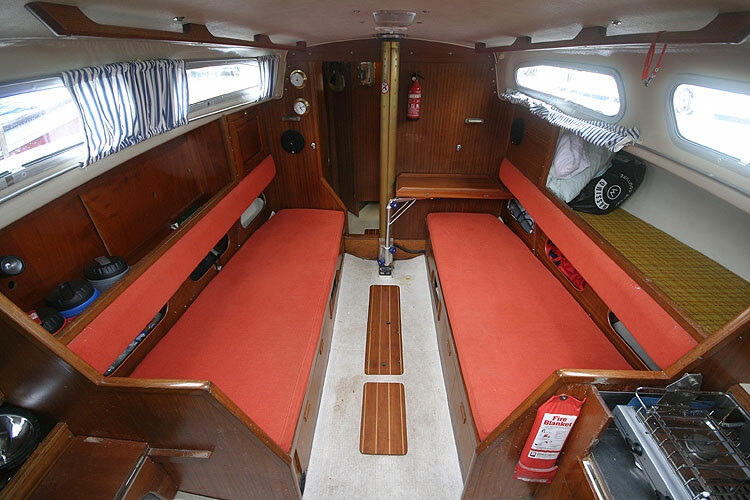 In 2003 she was professionally reupholstered and fitted with new spray hood, dodgers and sail cover. 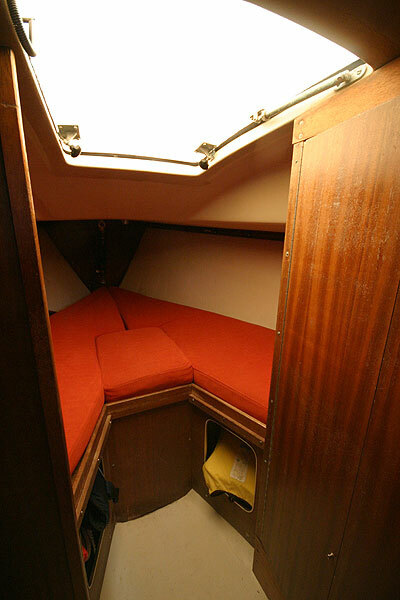 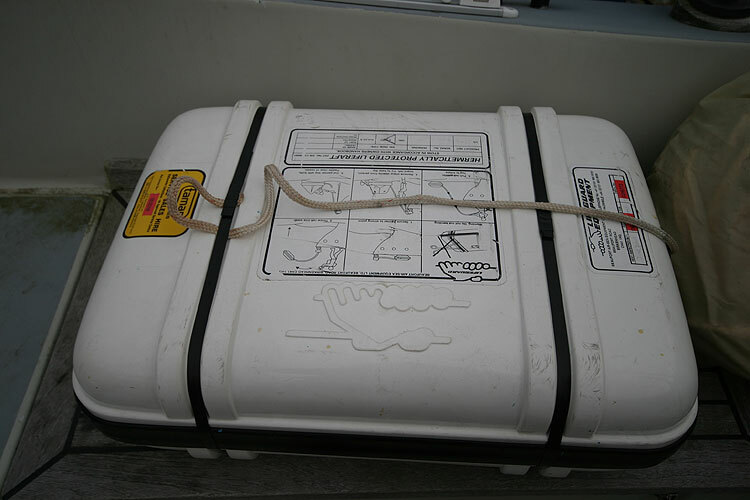 Also a fully enclosed cockpit tent and biminy new in 2006. 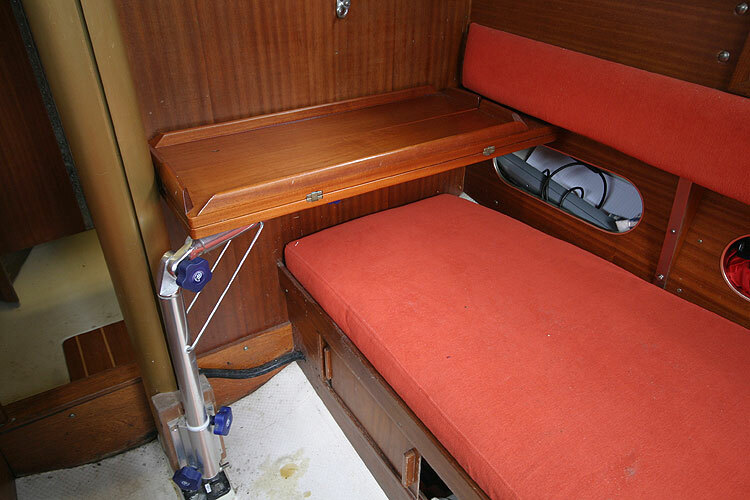 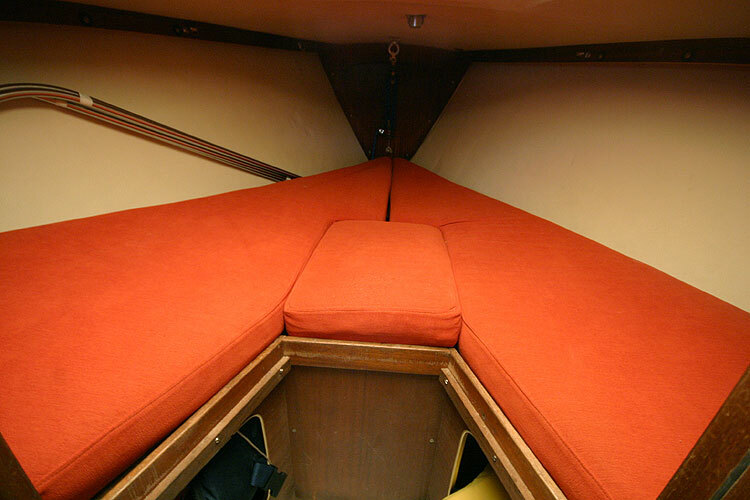 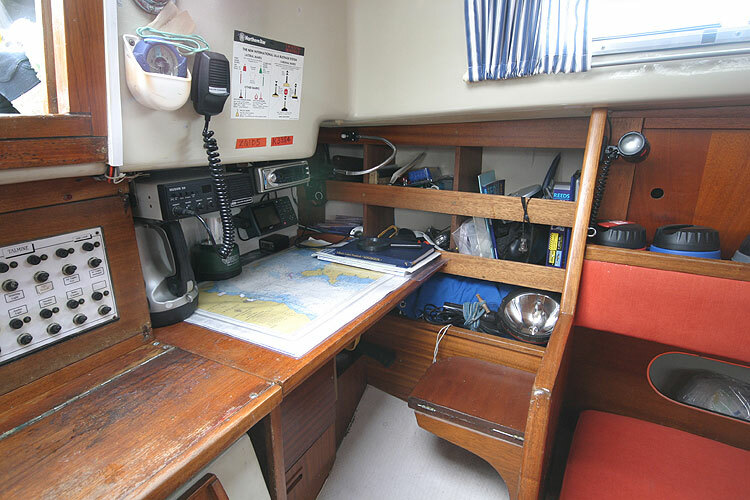 Extensive improvements to cabin and cockpit woodwork, including new storage, cabin and cockpit table, washboards, locker lids and instrument pod, with all work being carried out by a professional shipwright to the highest standards. 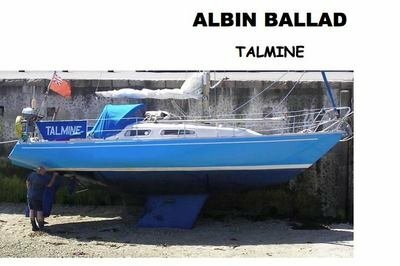 This boat is no longer for sale and remains here solely as an information resource for those researching Albin Ballad's.